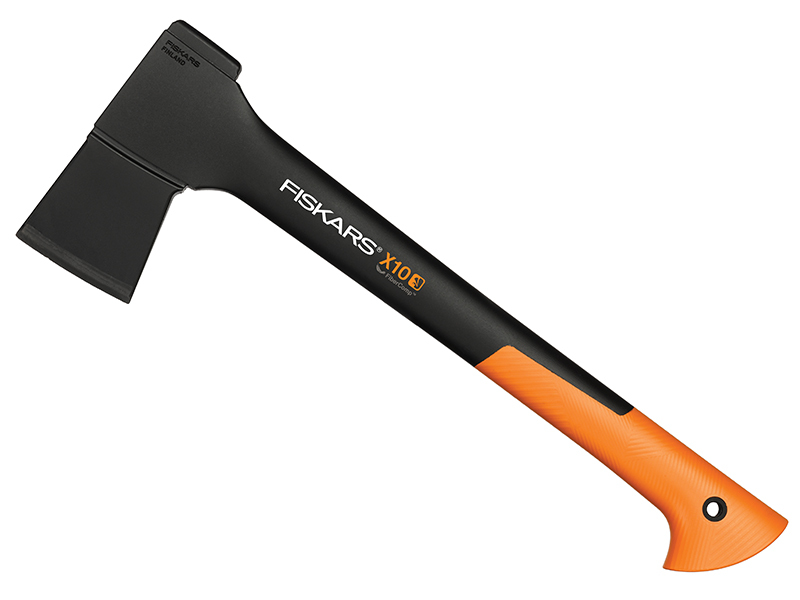 The Fiskars S-X10 Chopping Axe has a 30° cutting bevel and perfect balance between the head and the shaft for the most safe, comfortable and efficient use. The new (patent pending) 3D grip impoves user safety by offering greater control in use. It also helps to deliver more power, due to less focus on holding the axe. The axe has an ultra light and durable FiberComp™ handle, which minimises fatigue and makes the axe virtually unbreakable. 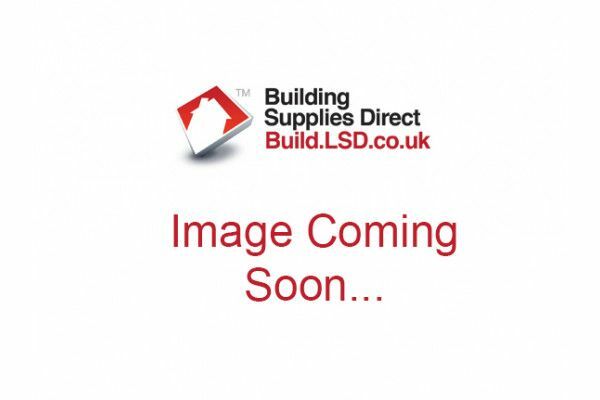 It has an optimal anti-shock surface structure and the hooked end of the handle prevents the axe from slipping. 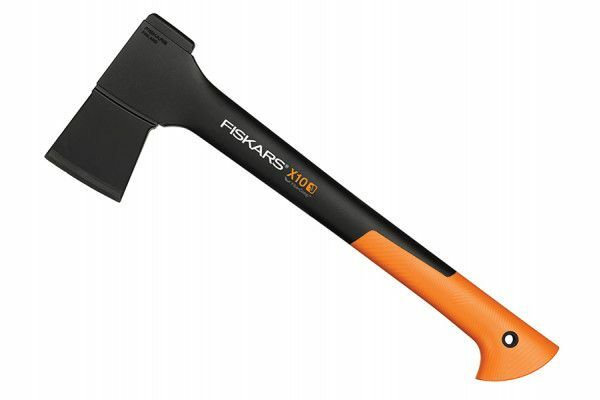 Fiskars offer the best in class, in Europe, for premium axes. To speed up the claim process, your receipt acts as a certificate, upon registering online. Registration also allows you to access a guide on usage, tips & tricks online.